Proposed series of posters for the tourist board of The Costa del Sol. The intention is to promote values of sustainability and social responsibility to big and small businesses, so that they incorporate these concepts and attitudes in their business. 1. 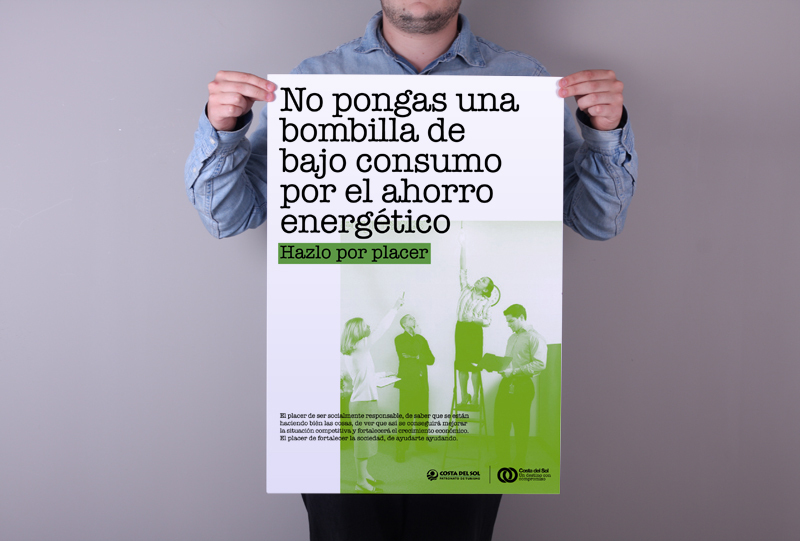 Do not put an energy-efficient light bulb for energy savings, do it for pleasure. 2. 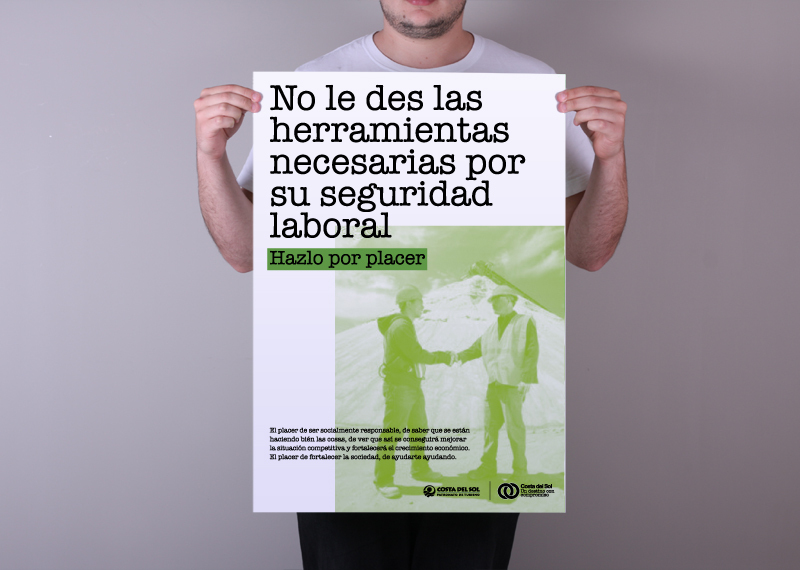 Do not give him the necessary tools for his safety at work, do it for pleasure. 3. Do not facilitate her the maternity leave for her rights as worker, do it for pleasure.